It’s in the name. 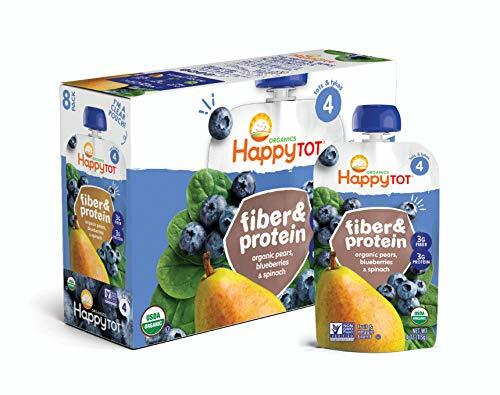 This scrumptious combination of organic pear, blueberries and spinach has added fiber and protein to help support your toddler’s growth!contains milk.FIBER & PROTEIN: Especially good for picky eaters, our Fiber & Protein pouches are a mix of organic fruits & vegies. Fiber helps support the digestive system. Protein is a key building block for growing bodies. These pouches have both!